The leading ladies on Indian television are a rage, mostly among the Indian middle-class. We bring you the top 10 actresses on TV who have tremendous fan following and are loved in every avtaar. They made a name for themselves in the industry and in our hearts too. You see them as leading ladies in the shows where they bind the entire family together or contesting for the best dancer in reality shows. These women are everywhere to capture your heart! Hina Khan is best known for her role of Akshara in the television series Yeh Rishta Kya Kehlata Hai on Star Plus for which she has won more than 18 awards including Star Parivaar Awards, New Talent Awards, Indian Telly Awards. She appeared as a guest in Star Plus serials Kayamath, Sapna Babul Ka…Bidaai, Chand Chupa Badal Mein and MasterChef India (season 3). Sara Khan is best known for playing the role of Sadhana Rajvansh in Sapna Babul Ka…Bidaai on Star Plus and of Mona Gandhi in Ram Milaayi Jodi on Zee TV. She won the Miss Madhya Pradesh title in 2007. She also appeared on Baat Hamari Pakki Hai on Sony TV as a dancer. She is also filming in two Bollywood films named Dark Rainbow and Aman Ki Asha which is planned to be released in 2014. 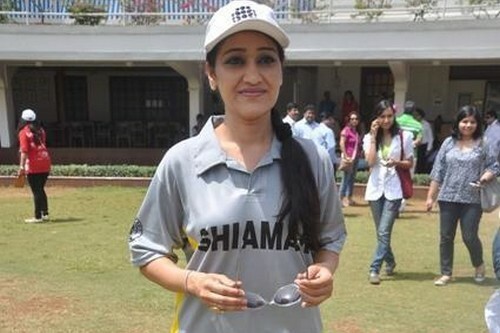 She was also seen in V The Serial on channel V. Currently, she is playing the role of Shallu in Junoon – Aisi Nafrat Toh Kaisa Ishq on Life OK.
Disha Vakani is best known for her role as Daya Jethalal Gada in the popular comedy series Taarak Mehta Ka Ooltah Chashmah on SAB TV. She has also acted in some Bollywood films and TV commercials. She won the Indian Television Academy Awards for Best Actress – Comedy twice in 2008 and 2009. Drashti Dhami is known for her role in Madhubala- Ek Ishq Ek Junoon on Colors TV and Geet- Hui Sabse Parayi and Dill Mill Gayye on Star One. Eastern Eye placed her at 12th on its list of World’s Sexiest Asian Woman for 2012. She is the winner of the 6th season of the Indian reality dance show Jhalak Dikhhla Jaa. Shweta Tiwari rose to fame with Kasautii Zindagii Kay (Star Plus) where she played the role of Prerna. She proved her acting prowess with the serial Parvarrish – Kuchh Khattee Kuchh Meethi (Sony Entertainment) where she plays Sweety. She is the winner of the fourth season of the popular reality television show Bigg Boss. She has done several TV serials, advertisements, reality shows, plays and cameos in some television serials. Rashami Desai is best known for playing the role of Tapasya Thakur (Tappu) in the popular television serial, Uttaran on Colors. She has also acted in Hindi, Assamese, Bengali, Manipuri and Bhojpuri movies. She has worked in other serials including Pari Hoon Main. She has also done episodes for Ssshhhh…Phir Koi Hai. She has featured in reality shows such as Comedy Circus, Maha Sangram, Zara Nachke Dikha, Crime Patrol, Big Money, Kitchen Champion Season 2, “Comedy Ka Maha Muqabala” and Jhalak Dikhlaja. Meghna Malik is popularly known as the high-handed Ammaji of Na Aana Is Des Laado on Colors. Meghna obtained her master’s degree in English from Kurukshetra University and graduated from National School of Drama (NSD), Delhi in 1996. She has acted in many TV serials and movies. These include serials like Radhaa Ki Betiyaan Kuch Kar Dikhayengi, Har Ghar Kuch Kehta Hai, Tujko Hai Salaam Zindgi and Kagaz Ki Kashtti. She also featured in the movie Taare Zameen Par (Starring Aamir Khan) as Eeshan Avasthi’s Maths teacher. Sakshi Tanwar is best known for playing the role of Parvati Agarwal and Priya Kapoor in the television serials Kahaani Ghar Ghar Kii (Star Plus) and Bade Achhe Lagte Hain (Sony Entertainment). She is one of the leading ladies of Indian television. She has appeared in television serials, reality shows, and movies. Ankita Lokhande is best known for playing the role of Archana Manav Deshmukh in the soap opera Pavitra Rishta since 2009 on Zee TV. The Indian actress, model and television personality, Jennifer Grover is known for her popular roles as Dr. Riddhima Gupta in Dill Mill Gayye (Star One) and Sneha Bajaj in Kasautii Zindagi Kay (Star Plus). Currently she plays Kumud in Saraswatichandra (Star Plus).